Office design is an evolving discussion in the business world. What aesthetics energize employees? 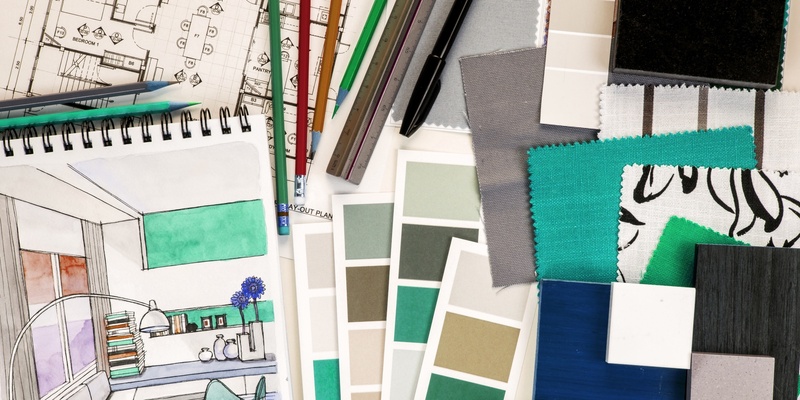 What environments are best for creativity? Is collaboration or privacy better for business? While all of these answers are dependent on the industry, the corporate culture, and design objective, these seven publications will keep you at the forefront of the discussion and up to date on the most recent thought on modern office design. With their extensive content stream focused on innovative workplace planning, case studies, and expert insight, Work Design has become a thought leader in the workplace design sphere. To stay up to date in the thought leading these industries, workdesign.com is an absolute must. With their emphasis on commercial design projects, Contract has the best insight into sweeping corporate design trends that have real influence on the industry they’re involved in. Beyond that, competitions hosted by Contract like “The Best of NeoCon”, “Inspiration Award”, and “Interior Award”—all judged by architects, designers, and industry managers responsible for selecting furniture and furnishings for their specific organizations—put contractdesign.com at the forefront of industry trends. Contract magazine will keep you ahead of the game and give you important insight into what styles and furnishings your industry has started to adopt and why they are doing so. What can we honestly say that Dezeen’s reputation won’t say for itself? Boasting a massive audience, cutting edge design content from around the world, and an employment board that brings so many participants of the architectural and design world together, Dezeen is a publication truly at the heart of both communities. Metropolis magazine looks at design through the lens of urban work and life. Though it has all the trimmings of other design publications (design case studies, interviews with influential industry members, etc.) Metropolis distinguishes itself with a host of culturally aware pieces that don’t just discuss design, but also asks why we design the way we do, and why we are drawn to particular designs. We like onoffice because it has an incredible amount of inspired content from the European design and workplace community. By listening to leading industry figures from across the sea, and seeing how they incorporate design and strategy into their work environments, onoffice offers some truly innovative and insightful perspective you might otherwise miss out on. Boasting a massive, organized photo catalog of every office type you can imagine, Office Snapshot’s ever growing profile of offices around the world has become an essential resource for office designers. With each office profile including information on the firm, client, size, year, location, and industry of the touted office, it’s outrageously easy to find relevant examples on which to draw inspiration. Furthermore, their catalog is organized with designers in mind, including categories like office size, work space, support space, features, and so much more. To find examples and resources for any office design project, office snapshots will have you covered. Finally, as odd as it may seem to include a social media site into a post about key publications for the design side of an industry, Pinterest is actually pivotal in circulating information, design trends, inspired designs, and infographics about office space design that will ultimately go onto influence designers throughout their drafting process. Pinterest doesn’t discriminate between office size, corporate vs private, or design form; it’s simply a compilation of inspired design work and information that’s trending amongst its participants. By staying up to date on this circulated content, it’s outrageously simple to find content, and by extension, inspiration that focuses on each element of the office space. Beyond that, designers and influencers use it as a tool for creating “mood boards” that revolve around a particular theme. Use it to create collections in certain color combinations or textures, or as a collection and presentation tool to align stakeholders in the early stages of the design process. From the personalized home office, ergonomic desk design, stylized piece of office furniture, or infographic that discusses optimizing a collaborative work space, Pinterest has it all and may even be the most effective search engine for finding office design inspiration. And there you have it! With these seven publications, regardless of your industry, design project, or knowledge base, you’ll find a resource that will help you grapple with the evolving discussion that is office design. And who knows, maybe the inspiration you find that transforms into a stunning office design will eventually grace the pages of these publications, to go on and inspire someone else in turn.